There are always different users at different times and places suffering from data loss, which caused due to accidental deletion, virus attack, OS crash, storage device formatted, etc. To recover these lost/deleted data efficiently, MiniTool Power Data Recovery is well-deserved. It is able to retrieve files from all different types of media, CDs and DVDs, SD cards, USB flash drive and so on. Designed for both PC and Mac, it appeals to more users. However, owing to its inability to scan the undamaged portions of a hard drive, a demand, looking for its alternatives, comes from high-required ones. To satisfy specific needs, 5 competitive alternatives to MiniTool Power Data Recovery are introduced below. A very popular program, Recoverit also restores data from many different areas, including files which have been mistakenly deleted, or are from external devices, files which have been attacked by viruses or deleted by systems failures and virtually any other loss of data. It can recover data from flash drives, memory cards, USB sticks, digital cameras and HDDs and at the same time support a number of different formats like Adobe, Excel, Word and others. You can preview before you scan and you can save your scanned results and most importantly it is easy to use. The negative is that the scanning may take a while. 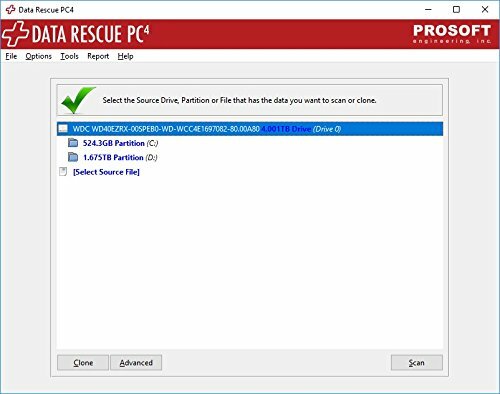 Data Rescue has a very user-friendly design making your data recovery procedure easy. Under the help of it, various recoverable devices are available, such as PC desktop, CF cards, SD cards, external drives, PC laptop, hard disk drives, etc. It is well developed with thoughtful ideas, notifying you via email when your scan is complete as well as recognizing duplicates of your files to ensure that you don't waste time and space recovering unnecessary copies of your files. Furthermore, you can also view your scans before proceeding with the recovery, which is a great feature to make sure you're recovering what you actually want. 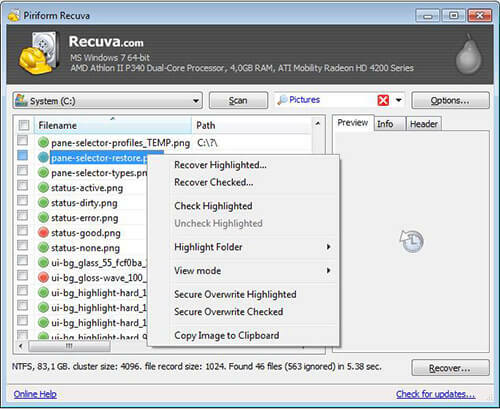 Recuva is also a worth-trying MiniTool Power Data Recovery alternative, which contributes to get files back from your computer, digital camera cards, recycle bin and MP3 player. This tool does all the recovery processes of the other alternatives, including images, files and music, emails, videos, and many others from a variety of different devices and media. When files are deleted with Recuva it has a secure overwrite feature which ensures that your files are deleted permanently, in a similar way to those used in industry and the military. Most importantly, it even offers possibility to restore data from any rewriteable media, like USB sticks, memory cards, etc. 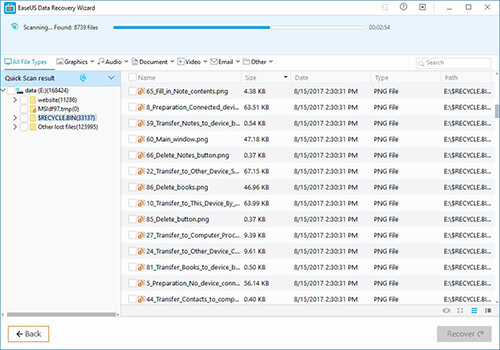 Another reputable alternative to MiniTool Power Data Recovery is EaseUS Data Recovery Wizard that is specialized in recovering deleted, lost or formatted data from your laptop, computer along with removable devices. All kinds of files, like videos, photos, office documents, audios, emails, etc. can be retrieved without sparing any efforts. As an all-in-one solution, this comprehensive tool delivers wonderful platform to help you fulfill deleted files recovery, recycle bin emptied data recovery, formatted recovery, lost partition recovery, OS crash recovery and so forth. 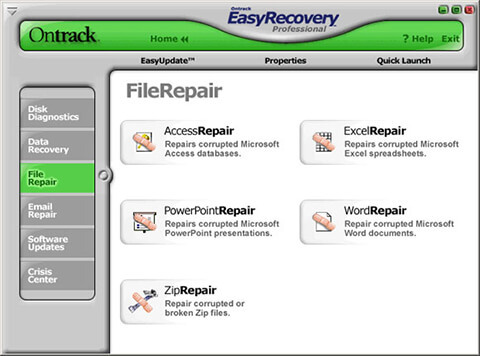 Ontrack EasyRecovery can be listed in alternatives to MiniTool Power Data Recovery review as well. It is famous as a DIY (do-it-yourself) data recovery program to permit you to find and retrieve files professionally and instantly. It has the capacity to rebuild data from HFS, FAT, HFS+, NTFS or ExFAT-formatted drives. Another benefit is that it can pause your recovery task so that you can leave it and go back to it later, if necessary. 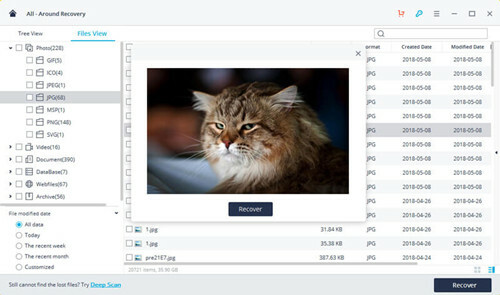 Other than that, this smart tool enables you to quickly scan or deeply scan data from memory cards, hard drives and USB drives. Aforementioned MiniTool Power Data Recovery alternatives are shown for flash drive, memory disk, recycle bin, etc. Nevertheless, with the widespread use of mobile phone, an iPhone data recovery tool is also indispensable. Here Joyoshare iPhone Data Recovery is highly recommended, which is capable of restore data from any models of iPhone/iPad/iPod touch with the latest iOS 12 version supported. Best of all, it does well in recovering 20+ iOS data types, like photos, videos, WhatsApp/Kik/Viber messages, notes, reminders, contacts, voicemails, Safari bookmarks, etc. 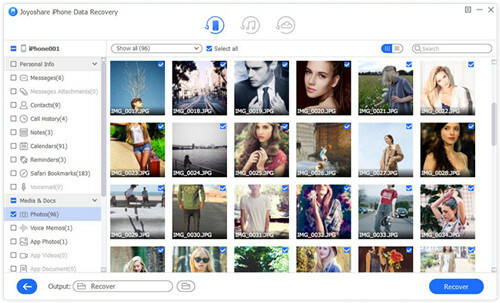 You can preview recoverable files in real time and selectively choose whatever you want. Besides, data saved on iTunes/iCloud backups can be extracted as well.